The 11th Annual Antique and Farm Stock Tractor Pull will take place on Saturday, July 7, 2018, from 9:00 a.m. to 3:00 p.m. Weigh-In begins at 8:00 a.m. Pull begins promptly at 9:00 a.m. Registration is allowed up until class starts. Numbers for tractor pulling order will be drawn in each class and posted on tractor for officials. Tractor hitch must be ring type or twisted clevis approved by official. Ring must have minimal 3” hole with at least 1” material around it. Drawbar must be stationary in all directions. Front tires of tractor may not leave the ground higher than 18” during pull. Tract official will flag puller- if wheel goes over 18”, pull is over. Failure to stop will result in disqualification. First puller may not drop and pull over (except in case of sled change). Pulling tractor may hook only one time in each class. Pulling tractor may only pull twice. Any objects falling from tractor will result in disqualification. NO EXCEPTIONS!! Pull is over when any part of tractor touches the out of boundary lines. Failure to stop will result in disqualification. Driver must remain seated with one hand on steering wheel at all times during pull. No one on track during pull except puller and track officials. Protest fee will be $100.00. If tractor is found to be legal, tractor being protested will receive the $100.00. If tractor is found to be in violation, the protestor will retain the $100.00. Protesters must be in the same class. Pullers under 16 years of age must have a parent or legal guardian’s permission on signed release form. Puller under the age of 13 must have adult with remote kill switch during pull. Track officials decision is always FINAL. NO arguing, fighting, profanity or alcohol! Tractor must be 1961 year model or older. Tractor engine limited to original or factory replacement with 10% over R.P.M. limit. Tire size limit is 15.5 x 38 for all classes. No cut tires. Altered tires will result in disqualification. Naturally worn tires will be allowed. Wheels, front and rear, must be factory style for tractor. No light weight or aluminum rims allowed. Front weights may not extend more than 10’ from center of rear axle to furthest point forward. Maximum drawbar height is 18” to top of hitch. Minimum drawbar length from center of rear axle to pull point is 20”. Tractor may not exceed 4.0 M.P.H. If horn blows for excessive speed after 100 feet mark, pull will be over and distance recorded. Each puller has (2) attempts to pass 25’ mark. Pullers must weigh before each pull and again immediately after pull. Check general rules for other requirements. Tractor must retain stock appearance and is limited to 1 four or six cylinder gas or diesel engine. Maximum tire size in all classes is 18.4. Any type of rim permitted in these classes. Front weights may not extend more than 12’ from center of rear axle to furthest point forward. Maximum drawbar height is 20”. Minimum drawbar length is 18” from center of rear axle to pull point. Tractor may not exceed 4.0 M.P.H. If horn blows after 100 feet for excessive speed, pull will be over and distance recorded. Pullers must weigh before and immediately after each pull. Rules subject to change day of pull. 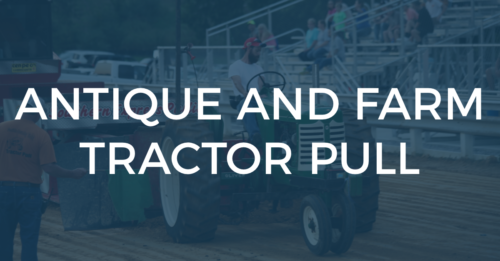 Due to other event scheduling, the Tractor Pull will end at 3:00 p.m.
For more information contact Anthony Apple at (615) 486-9464. 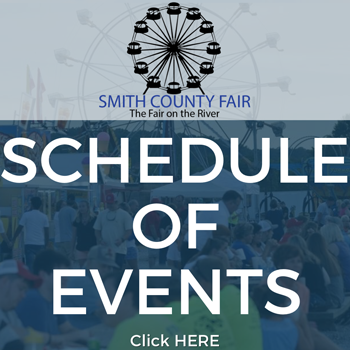 The Tractor Pull is sponsored by Citizens Bank, Powell Tire,Grant Cedar Mill, Sanderson Funeral Home, Allied Bearings & Supply, Lebanon Distributing Co., Sharp Truck Sales, Newsome Diesel Repair, Smith Farmers Co-Op, Billy Wood, and DJ’s Prime Shine.